In March of 1948, Nevil Shute sent a letter to James Riddell, outlining his plans to fly his newly-purchased single-engine Proctor V aircraft from England to Australia and back via India, Burma, Siam, Malaya, and the Dutch East Indies. He asked if Mr. Riddell would be interested in being his travel companion. Riddell jumped at the opportunity. The two men traveled over 30,000 miles in the six months from September 22, 1948 through March 17, 1949. Each of them kept a journal. Riddell's journal, with only minor editing and the addition of a forward by Nevil Shute, was published in 1951 as Flight of Fancy. The compilation of Nevil Shute's journal entries is available as the unpublished manuscript entitled Flight Log. James Riddell was himself an author, a world traveler, and a first-class athlete. He played cricket, football and rugby competitively, and skiing was a lifelong passion. In 1935 he was the British national downhill skiing champion. The following year he was vice-captain of the British ski team during the Winter Olympics in Bavaria. 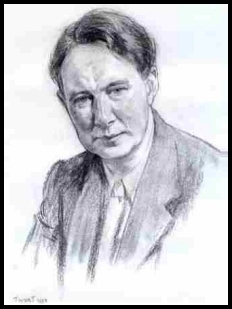 Riddell began his career as an author before World War II. At the outbreak of the war he was in the Belgian Congo photographing wildlife for one of his books. During the war he established a mountain warfare school in Lebanon, where he oversaw the training of some 20,000 troops in high altitude skiing. Riddell retired from skiing in his seventies, but continued his writing career. By his death in 2000 at the age of ninety he had published 25 books including a novel, political satires, children's books, and books about travel and skiing. In the forward Nevil Shute wrote for Flight of Fancy, he described Riddell as a stimulating companion and a good friend who never lost his enthusiasm for the journey. Riddell's journal entries reveal a colorful, multi-faceted personality. The contrast is stark between Shute's primarily factual journal and Riddell's highly personal and often philosophical account. The two men had enough in common to allow them to successfully co-exist in close quarters under often-trying circumstances. Yet it would be difficult to conceive of two more distinct personalities. What a delight it would have been to eavesdrop on the prolonged and heated discussions that doubtless transpired during their many hours together! Riddell knew that Flight of Fancy would be difficult to categorize. While some would see it primarily as a travel book, to him it represented the complexity of thoughts and problems that travel stimulates in the mind. It was a book of wanderings and wonderings. Riddell wrote his journal in stream of consciousness. He freely mixed fact and fancy, and often described his dreams along with his daytime journeys. I was immediately captivated by Riddell's style and perspective. His first journal entry was a highly personal and humorous description of the day of departure from Portsmouth. While noting that Nevil Shute looked and acted "just as if we were going to take a short flip over to a neighboring aerodrome", Riddell felt far less confident. The more he looked at the Proctor on the tarmac, the smaller it seemed to him. He was aware of the evident concern of his wellwishers and even of the customs officials. Riddell described his first hours aloft this way - "Sat and wondered what in God's name had caused me to have anything to do with single-engined aircraft flying over large stretches of salt water. Could find no satisfactory answer. Why exchange the security of a normal life in London for six months of uncertainty such as this?" This led Riddell into the first of many mental flights of fancy - a philosophical reflection concerning the meaning of security and certainty. Nevil Shute's journal entry for the same time period was factual and succinct - "From Portsmouth to Eastleigh, Dinard, Tours, 3 hrs 10 mins flying. A lovely fine day, little cloud, with a N.E. wind in France. Left Portsmouth about 1300, arrived Tours about 1830". Different as they were, Riddell had tremendous respect for Nevil Shute, and frequently praised his character and capabilities. For example, as they were approaching Burma on their return to England, the Rangoon Airport was in rebel hands and the whole country in a state of chaos. Getting across the country was not going to be easy. Riddell wrote - "Nevil is a very methodical, efficient man. He crosses every bridge well in advance. I am afraid I always wait until I reach a river and then look helplessly around for someone to get me across. Both systems have their faults. But it is quite plain to me that if anyone is going to get Item Willie across Burma, Nevil is." A prevalent theme throughout Riddell's book is his affinity for Eastern philosophy and lifestyles. Although he frequently struggled to make sense of the onslaught of impressions, his appreciation grew the farther East they traveled. "I cannot help myself," he wrote. "I feel so much more in sympathy with the old, with the strange mystery of the East, than I do with the new, with the all-too-familiar materialism of the West." Riddell was disappointed upon landing in Australia to abruptly find himself back in the "West". After ten days in Australia, Riddell admitted that there was a tremendous amount of goodness, kindness and generosity in that country, yet he still sorely missed the exotic East. He noted that Nevil Shute had a different reaction - "Nevil is more sensible than I. He is thoroughly enjoying it. He is getting a lot more out of this place than I can at the moment". It would be interesting to know whether any of Riddell's great enthusiasm for the East might have rubbed off on Nevil Shute, and might have influenced his depiction of the region in Round the Bend. For many Nevil Shute fans, the primary interest of Flight of Fancy might well lie in this sort of insight and conjecture. I personally found Jimmie Riddell to be a fascinating character in his own right and I thoroughly enjoyed his style and perspective. In any event, I would highly recommend Flight of Fancy, both as a companion piece to Shute's manuscript as a standalone work.